But unfortunately, not many individuals recognise this foremost principle; and as a result their investment portfolio often looks cockeyed; incongruent to the financial goals they're planning for. They often take more risk, or no risk at all - two extremes - leading to an imbalance in the portfolio construction activity. Asset allocation is a key element in the process of investing and achieving your financial goals. Now you may ask: Why Asset Allocation? Can't I get straight away to those great investment ideas that can earn big returns for me? Yes you can; but only if you hold the conviction that those 'investment ideas' will really 'create wealth' for you. Through asset allocation, you can strike a balance between risk and reward, keeping in mind your risk profile, your financial goals, and your investment time horizon. So, asset allocation is an investment strategy. Asset allocation may sound like a complicated concept, but it isn't! If you recognise the risk traits of each asset class - equity, debt, gold, real estate, etc. you can successfully allocate assets / investible surplus, wisely, or even hold cash for that matter. As goes the question "How much proportion of my investible surplus should I park in each asset class?" it gets a little tricky. Honestly, it will depend from person to person. Age - This is one of the critical factors. When young, the risk-taking ability is high and the earning potential too is more. Besides, the investment horizon usually is longer. So, a greater proportion of the investible surplus can be parked in risk asset such as equity, real estate, and of course, you can buy gold, or hold cash too. Income - A higher income drives a higher tolerance to risk, which facilitates investing in risky assets such as equities, real estate, gold, and vice versa. Assets - You should account for your existing asset/s while investing. 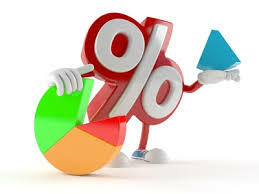 So consider the existing share of each asset in your investment portfolio, before investing further. Liabilities - More liabilities to repay, puts a strain on the investible surplus and the level of risk one can take. Investment Horizon - If the time left before goal befall is longer, it can allow you to take the risk and take exposure to risk asset, and vice versa. Willingness to take Risk - You got to ascertain if you're willing to take the risk. So as per the above thumb rule, you would be classified as Aggressive, Moderate or a Conservative investor depending how skewed the investible surplus is parked in respective assets. As an aggressive investor, you'll have more investments towards high risk - high return generating assets like equity vis-a-vis debt and gold. As a moderate risk taking investor, you'll have more balanced portfolio, with your investments well diversified across assets classes. i.e. 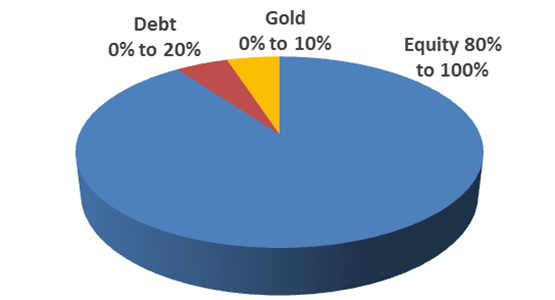 equity, debt and gold. As conservative investor, you'll have more investments towards fixed or regular income generating debt instruments, along with slight diversification towards inflation beating assets like equity and gold. left Some of you may be wondering, why we didn't talk about Real estate as a part of asset allocation. 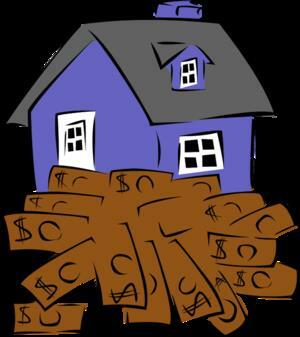 The share of real estate in one's portfolio will depend on the investor's individual situation. We believe real estate can be part of one's net worth, but not a part of one's investment portfolio, given their illiquid nature and high transaction cost involved. Moreover, they cannot be rebalanced with dynamic change in valuation of other asset class. So avoid including real estate for asset allocation in your investment portfolio. For those, who approach real estate for investment; can still consider them given its ability to generate rental income and capital appreciation over time. As the investment portfolio is sliced and diced into various asset classes and investment avenues, the returns clocked are potentially optimal; instead of investing in an ad-hoc manner. It is important to note that all asset classes don't move in the same direction. Some move inverse to each other -- for e.g. equity and gold. Asset allocation facilitates diversification, which is one of the basic tenets of investing, and thus the risk to your investment portfolio is minimised. Further, as you continue to receive notional returns on your portfolio, it becomes imperative to closely track on the asset allocation to make sure that it doesn't slip from the 'ideal', or what best suits your financial goals. Therefore, while reviewing your portfolio, don't forget to rebalance the investment portfolio as and when the need arises. This will help you minimize risk on your investments and will also infuse more certainty on achieving your financial goals. As mentioned before, your time horizon is also a key factor in determining your ideal asset allocation while you endeavour to achieve the financial goals envisioned. Longer the time horizon before your financial goals befalls, the more you can tilt your asset allocation towards risky assets. Liquidity is another vital factor while making investment decisions as some investments have a lock-in period, which means these can't be redeemed within that period. For e.g. : If you are investing in a Public Provident Fund (PPF) account or Equity Linked Saving Scheme (ELSS) mutual fund and are in need of money in the next one year, they aren't the right investments for you no matter how good these investments might look. Prudent asset allocation will enable you to have sufficient liquidity to pay for your financial goals as and when required. Tax consequences are different for every individual in every scenario. 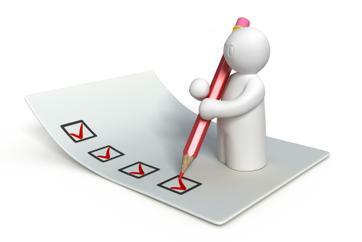 Therefore, always evaluate investments from a tax angle to assess it they're efficient. For e.g. : If you happen to be under the 30% tax bracket and invest all your savings in fixed deposit to keep your investments safe, you are making a big mistake! You're paying a huge amount in taxes that otherwise could have been legitimately saved. So, proper asset allocation will not only help you benefit across asset classes, but also the right investment product that will help you to minimize taxes. You see, when you diversify across assets wisely, you give yourself a lot of leeway to counter market uncertainties. It acts like a stabilizer when a particular asset class fails to perform. Till the time an asset class such as equities is progressing well, you'll probably not appreciate the importance of appropriate asset allocation. In fact, you may even feel that asset allocation is a hindrance. But it is often said that, every adversity leads to diversity, and that holds true even in case of asset allocation to fully appreciate its importance. 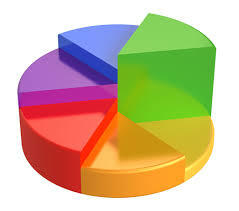 Asset allocation is an important element in the process of achieving ones financial goals. It's an investment strategy. 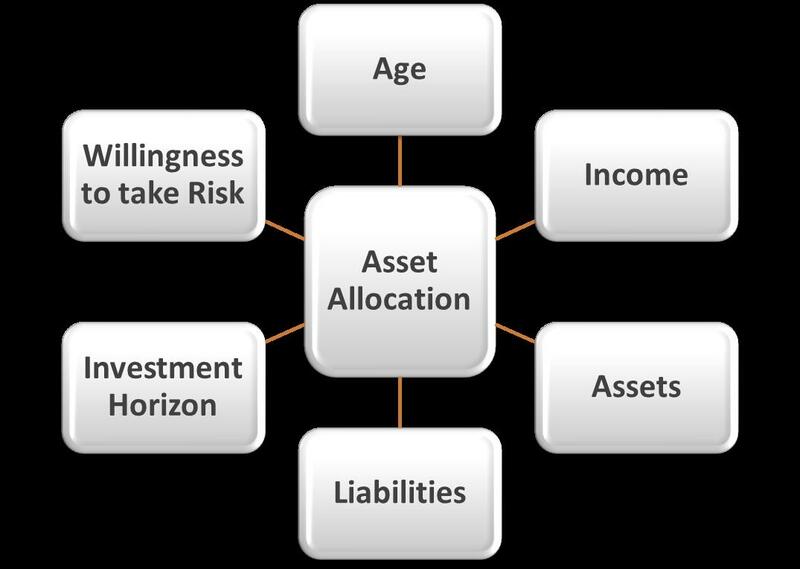 Age, income, assets, liabilities, investment horizon, risk profile, are the key parameters to determine asset allocation. Go with the thumb rule: 100 - your age, while allocating your investment portfolio across asset classes. Avoid including real estate for asset allocation in your investment portfolio. Asset allocation helps strike a balance between risk and reward. An ideal asset allocation can provide adequate liquidity to your portfolio. Thoughtful asset allocation acts a stabilizer when a particular asset class fails to perform. Don't forget to timely rebalance your portfolio so that the asset allocation does not go askew.